The Samsung Galaxy On8, or the J8 was launched in 2016 as a part of the hugely popular J series. It has a 5.5-inch display with a screen resolution of 1080x1920 pixels. Powered by 1.6 GHz octa-core A53 processor, it packs a punch. Besides, the full HD screen, it has 3GB RAM and 16GB internal memory with a Mali-T720 MP2 GPU for games to run smoothly. The internal memory can be expanded upto 128 GB. The battery stands at 3300mAh. A 13 megapixel camera with a CMOS sensor is found on the back. The phone is 7.8 mm slim and easily operable with one hand. The fingerprint sensor is missing which has now become an essential in even low budget phone. The processor, though decent, is far below the par when compared to its peers. The J series’ camera panel is average and does not work well in low light. Those looking for a change and wanting to upgrade to a better smartphone can go ahead with Cashify to sell their old Samsung Galaxy On8 online with a few clicks. Cashify offers complete privacy of information and best of the prices for your old phones and gadgets. Why Sell Your Old Samsung Galaxy On8 On Cashify? 1. 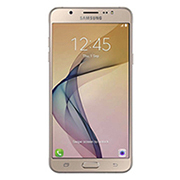 Login at Cashify website and choose the brand and model name of your old phone- Samsung Galaxy On8. Answer a few questions regarding age and warranty of your old phone and proceed. 2. Cashify will use its automatic mechanism to give you the most fair and transparent price quotes. 3. If the price seems okay to you, schedule a free pick up at a time and place of your convenience.